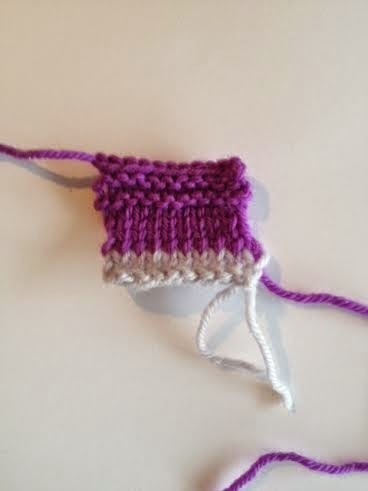 My favorite provisional cast on method is using waste yarn. I use a yarn of the same weight as my project yarn. That makes the stitches in the first row of work even in size with no distortion. If possible, I pick a smooth yarn in a strongly contrasting colour. I especially like cotton. I'm careful to make sure I don't use a yarn with any dye residue which will come off on my project yarn. 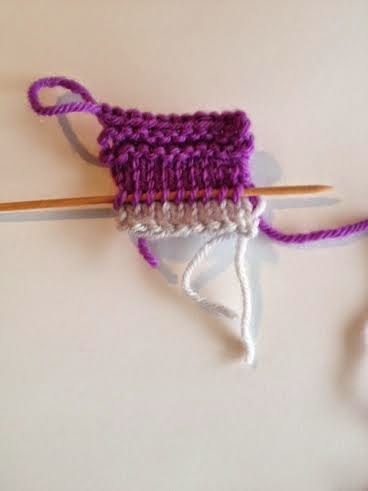 To work this method, simply cast on the number of stitches you need with any cast on method, knit a few rows in stocking stitch and switch to your project yarn. When I'm ready to work in the opposite direction I use a smaller gauge circular needle to pick the stitches up and then I cut the waste yarn and pull it away before starting to knit in the opposite direction on the project size needle. I also use this method for garter stitch tab starts on shawls. The fabulous blogger TECHknitting wrote about the Ravellers who came up with the name COWYAK here. It stands for Cast On with Waste Yarn And Knit. There are other methods, one is a variation of long tail cast on with two yarns. Knitty covers it in this article. Theresa Vinson Stenersen wrote the instructions and mentions that she does not have a problem with the looseness of the first row of stitches being worked over two needles. This is one of the fascinating things about knitting. Different individuals get different results. 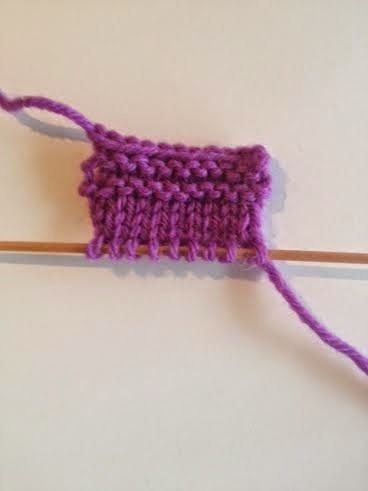 I can use this method and still have stitches that show some distortion when I work off that row in the opposite direction. Perhaps due to my relaxed knitting style? Many knitters use a crochet chain as a provisional cast on. I've used that version myself a few times and I do like the unzipping part, there is something fun about it. However I did end up with some uneven stitches at the transition point in the finished project so I've abandoned that method.